If you’re a small business owner, you know how difficult it can be to find the right employees. Whether you have a short-term position to fill or are looking for full-time additional staff, a staffing agency can be a tremendous help when it comes to selecting qualified temporary, part-time, and full-time employees. If you’re unfamiliar with how a full-service staffing agency works, a company such as Appleseed finds, screens, and qualifies appropriate employees to fill open positions, whether they’re temporary seasonal jobs, vacancies caused by employee vacations, or even trial positions created to explore new opportunities or capabilities for your company. There are a number of benefits that come with using temporary staffing, including the ability to quickly scale your workforce based on seasonal needs, sales or production cycles, and current industry or market conditions, depending on your type of business. Temporary staff often requires little or no training because the agency has already properly qualified them for their positions. Have a clear, comprehensive job description for any positions you’re looking to fill, including a list of specific tasks the employee(s) will be expected to perform. Have an appropriate compensation budget in mind for hiring qualified temporary employees. Provide as much lead time as possible from when you make an employee request to when you need to have the position filled. This allows the agency enough to time to adequately find, screen, and qualify appropriate candidates. Move quickly once candidates have been selected and presented. As Thomas Jefferson once said, “Do not let ‘perfect’ get in the way of ‘good’.” The longer you delay by asking to see “one more candidate” the greater the risk of a perfectly acceptable one taking another job. 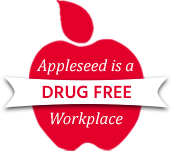 Appleseed Personnel is focused on providing you with the qualified, experienced, temporary staffing your business needs to succeed. If you’d like to learn more about working with a staffing agency and how we can provide you with complete temporary staffing support, email us or give us a call at 978-534-6629 today!